With Kerala continuing to battle the infectious and deadly Nipah virus, all fruit and vegetables from the state have been banned in the majority of nations across the Arabian Gulf. The region is India's largest export market. Nipah has claimed 17 lives till now. Last week, the United Arab Emirates and Bahrain had ordered complete import restriction on fruit and vegetables from Kerala. Over this weekend, Saudi Arabia, Qatar and Kuwait also announced officially that import in both categories would stop till further notice. Since most countries in the region have similar and closely knit Customs rules, media reports from Oman suggest it might also follow. The brain-damaging Nipah virus appeared in Kerala early last month. It is contagious and there is no vaccine for it. The natural host of the virus is a fruit bat of the Pteropodidae family, according to the World Health Organization. As a result, major importing nations are now wary of produce grown in Kerala and have also issued severe travel advisories against visiting the state. The timing is expected to hit the southern state hard, as fruit export generally swells in the hot month of Ramzan, currently on. “Right now, it is difficult for Customs inspections at ports to find out whether any consignment is infected, since the foods do not show any physical signs. Other Indian states might come under the restriction if the virus spreads," said Ali Shaaban Balah, acting chief of the plant protection & quarantine section at the ministry of works, municipalities and urban planning in the government of Bahrain. The Gulf region is India’s largest market for fruit and vegetables, with the UAE being the single biggest importing nation on both counts. Export to the nations in the Gulf cumulatively make about 35 per cent of all fruit shipment and nearly a quarter of all vegetable ones from India, according to data from the commerce ministry. "There have been complaints from the industry whereby consignments have now started being turned away from Kuwait, Qatar and other nations but we are yet to receive formal communication from some of these countries," said a senior official here from the Agricultural and Processed Food Products Export Development Authority. A prominent member of the bat species, the Greater Indian Fruit Bat inhabits large patches of the South Asian subcontinent. It is considered likely to transfer the disease to humans when they consume fruit on trees. Unfortunately for exporters, the bats are ‘generalist’ feeders, eating any fruit they can potentially find, according to a paper from the Research Centre for Biological Sciences in Madurai. The mammals have a serious taste for all types of fruit - bananas to mangoes, dates, avocados, wild dates and any type of pulpy ones. Cashew and mango, show official data, dominate the export list in fruit. Unfortunately, the cashew industry is based out of Kerala itself, with Kollam in the southern part termed cashew capital of the world. And, mangoes are a favourite with the bat. India is the largest exporter of mango in the world, with more than 40 per cent of global production. Chickpea and onion are the top export among vegetables across the Gulf region. The government is currently in the process of finalising an agricultural export policy. 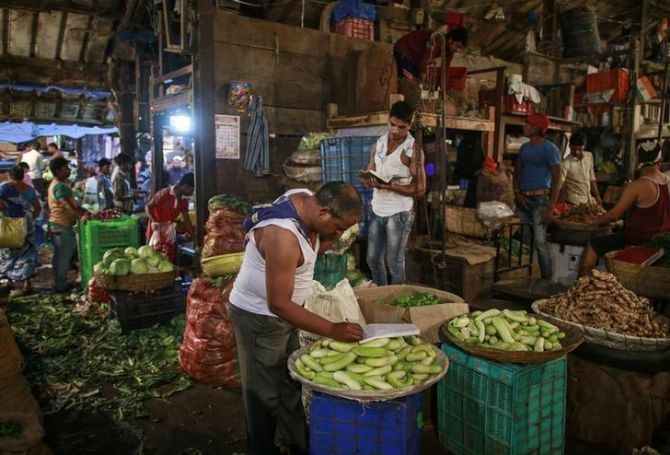 It aims for a stable export policy regime in farm products and streamlining of the current regulations, as part of changes to help double annual agri export to $60 billion (Rs 400,000 crore) by 2022. "For major outbreaks such as this, international guidelines have a cooling period of months before trade restrictions are lifted. So, the spread of the virus needs to be contained soon. Otherwise, Thiruvananthapuram airport and Cochin seaport will incur major losses. "As it is, agricultural shipment from other states - spices from Karnataka and vegetables from Tamil Nadu -- have been turned back from several Gulf nations solely because the port of origin is in Kerala," says an official from Kerala State Industrial Enterprises Ltd.